Toronto Airport Limo service is a full-service Limousine & Sedan Transportation Service Provider specializing in providing Local, National & International Clients with the highest quality of service at the most competitive rates in Toronto GTA area making our company the preferred Limousine and Sedan Transportation Service to major corporations, individuals as well as Travel Agents/Meeting Planners & Destination Management Companies. Our Customer Services and Operations are 24 hours a day, 7 days a week, 365 days a year. You can make reservations by phone (Local: 416-425-8628), fax or by filling out our online Toronto Limo Reservation Form. We will reply to all e-mails within 24 hrs. Quality is of the essence throughout and we pride ourselves in being small enough to care, yet large enough to cater for all enquiries. We welcome the opportunity to earn your business. We treat each client as if they are our only client at Toronto Airport Limo. We are honored to have you as our guest. Please take a moment and explore our website and see the difference for yourself. We are always looking for professional limo drivers. If you think Toronto Airport Limo would be a good fit for your future, we'd like to hear from you. You can apply using the online driver application form. 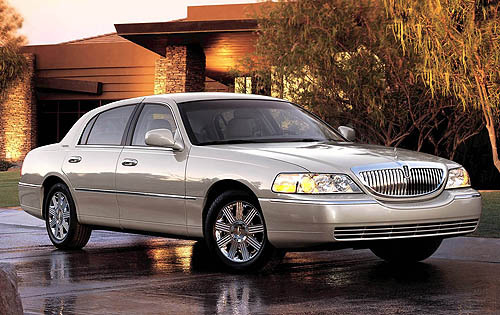 Our fleet consists of an equal mix of New model luxury Lincoln Towncar, Mercedes S500 and BMW 7 Series Sedans and top of the line Stretch Limousines driven by our well trained experienced and dedicated chauffeurs. All of our Vehicles are always clean, Comfortable, Very well maintained and are 2-3 years old the most! All of our Vehicles are equipped with Cell Phones with Canada/USA wide coverage. We offer Comfortable, affordable, first class, distinctive limousine ground transportation, to meet all your travel needs, whether it is a ride around town just for fun, transportation to/from the Airport or getting to a business/leisure event. We offer our services for any special occasions or travel needs you may have. Door-to-door airport service is the foundation upon which Toronto Airport Limo was formed. Travel in comfort and luxury from your home or office to and from the airport and arrive rested and without the worry and expense of airport parking or car rentals. If there is anything we haven't covered, or if you have any special requirements please let us know and we will do our best to accommodate your transport needs in any way we can regardless of volume, budget, or urgency. Please call us at any time of the day or night toll free. Toronto Airport Limo is properly licensed and all our vehicles are insured for the maximum liability amount with Toronto GTA City & Toronto Pearson International Airport requirements.